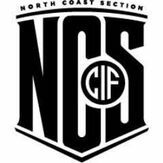 Tri-Valley Soccer Referee Association (TVSRA) assigns referees to High School Soccer Matches in the East Bay Athletic League (EBAL) and the Mission Valley Athletic League (MVAL), and members of the North Coast Section (NCS) of the California Interscholastic Federation (CIF). Tri-Valley Soccer Referee Association trains and assigns experienced soccer referees in the Soccer Rules of the National Federation of High School Associations. Referees are required to completed 8 hours of training, 5 hours of which can be other referee groups including USSF, AYSO and NISOA training. Referees should have at least 3 years of experience in officiating soccer at the U16, U19 or college club level. Applicants with less experience may not be accepted. TVSRA uses the 3 person, DUAL and solo refereeing systems depending on level of play and availability of officials. Referees interested in working with TVSRA should fill out a membership application.